Whether you are on a tight budget, or just prefer giving gifts from the heart, homemade gifts are always appreciated. The recipient knows that you spent your valuable time putting together a thoughtful gift straight from the heart. 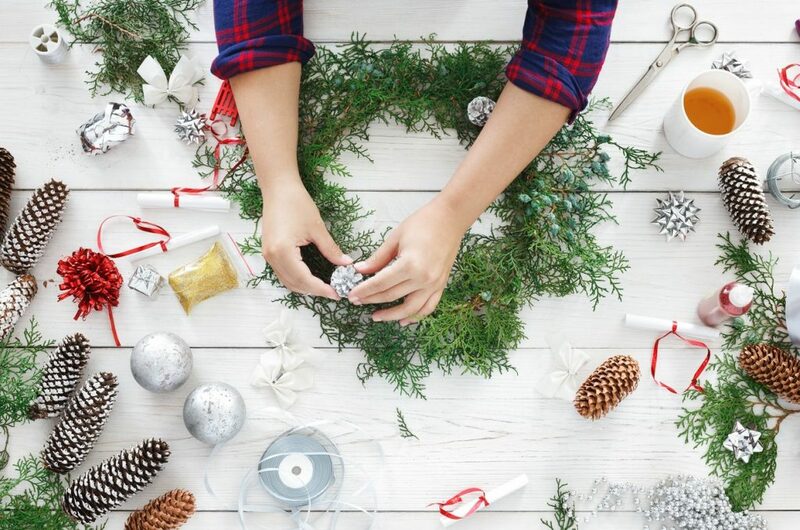 Here are five budget-friendly homemade holiday gift ideas to share with friends and family this year. Save your empty Pringles containers and repurpose them by wrapping and filling them with homemade holiday cookies. Simply wipe the inside of the canister with a damp cloth or paper towel, then cut a piece of wrapping paper or scrapbook paper to 10” x 9.5”. Next, wrap the paper around the can and secure both ends with double-sided tape. 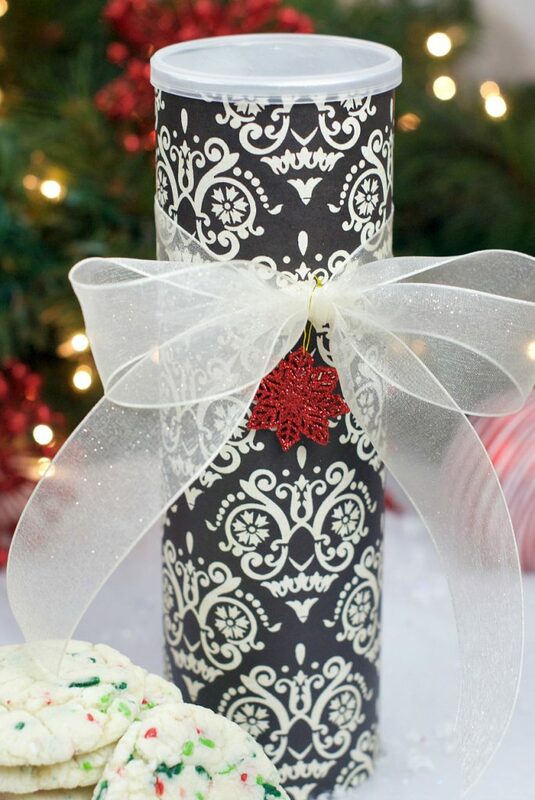 Decorate the wrapped canister with ribbon or bows and fill with homemade cookies. A sweet treat to share with family and friends! Preheat oven to 200° F and cover a cookie sheet lined with parchment paper with cut flowers (cut the flowers right below the heads) and thin slices of citrus fruits or sprigs of rosemary, lavender or thyme. You can also add cinnamon sticks, cloves or allspice depending on your scent preference. Add 10-15 drops of essential oil to one tablespoon of water in a spray bottle and spritz the flowers, fruit and herbs. Place the cookie sheet in the oven and let the potpourri dry for at least 2 hours (flowers should be brittle, but not burnt.) Remove the pan from the oven and spritz one more time with the essential oil mixture. Place potpourri in a decorative jar tied with ribbon. 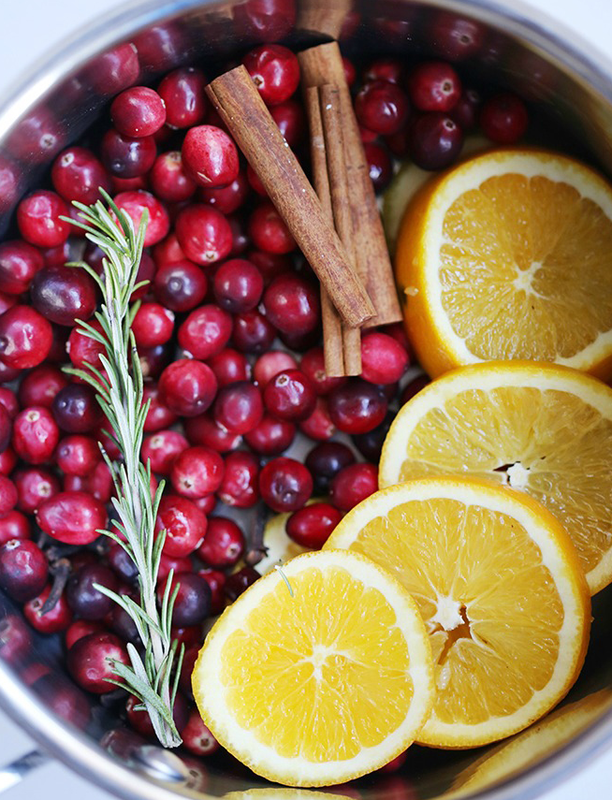 For more ideas on making holiday potpourri, click here. The winter can be very harsh on our skin. Using a sugar scrub can help keep skin feeling soft and looking smooth. Make a sugar scrub using natural ingredients. Fill a pretty jar with a locking lid and tie a wooden spoon with a ribbon around it for a pretty presentation to give to teachers, neighbors or colleagues at the office. Here are 21 homemade sugar scrub recipes. 1. 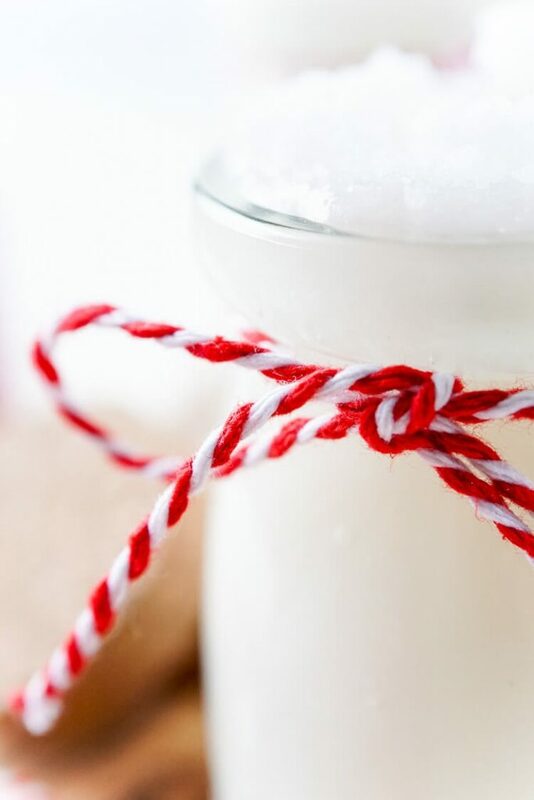 Combine ½ cup coconut oil and 1/2 cup of sugar in a bowl and mix until creamy. 2. Add essential oil while continuing to stir. This is when you would add coloring, if desired. 3. Add more sugar until the formula reaches the desired consistency. Do you have a collection of single plates or teacups that are collecting dust? 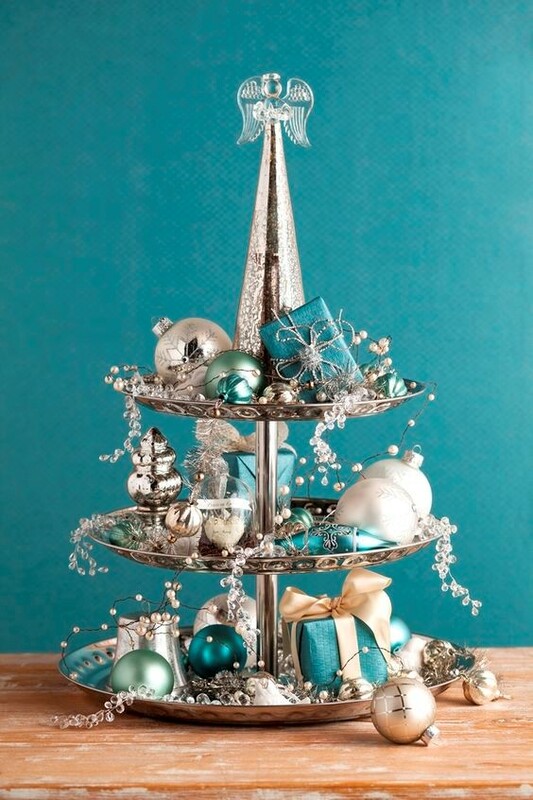 Rather than donating all of those dust collectors, make a jewelry stand to give as a thoughtful, unique gift. You can find great pieces at second-hand stores and flea markets and the beautiful thing is, they don’t have to come in a complete set! In this case, the more unique they are, the better. 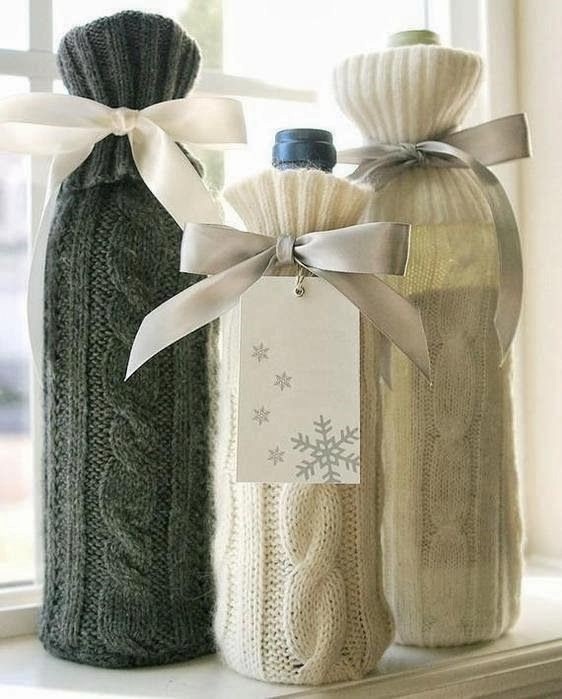 Dress up a nice bottle of wine with this simple, yet elegant sweater sleeve. All you’ll need is an old sweater, a pair of scissors, a sewing machine and thread, some pretty ribbon and a marker. Complete the gift with one or two wine glasses and a bottle opener for a great hostess gift. Full the view tutorial on how to make these adorable wine sweater sleeves right here. Homemade holiday gift ideas are a fun way to prepare for the holidays, but making sure your home is in tip top shape is an absolute essential for entertaining guests. 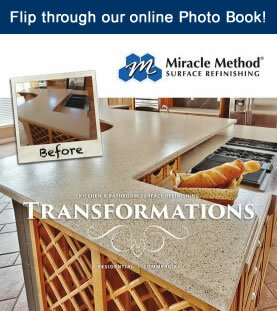 For affordable kitchen and bathroom remodeling, visit our website here or call us at 855-212-7337.